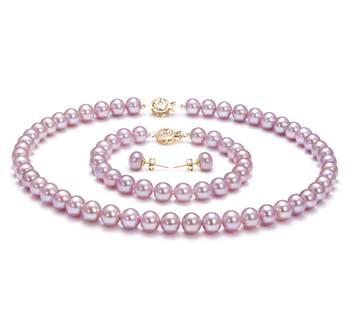 Sometimes going simple is best when it comes to wearing pearl earrings. This pair of 7-8mm Black Japanese Akoya Round Pearl Earrings should be something you should consider including in your jewelry box. 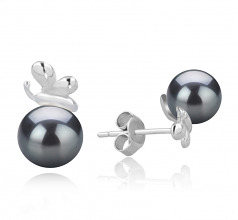 The medium-sized black pearl is mounted on to a sterling silver base with a small amount of embellishment that helps to really bring out the beauty of these almost round AA grade pearls. 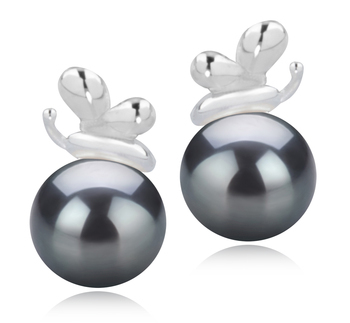 The use of sterling silver in the design not only helps to enhance the pearls luster but also makes them a very versatile pair of earrings to own. The inclusion of a butterfly clasp at the back will ensure that these earrings feel comfortable and remain secure when being worn. Would look great when you pair them with a little cocktail dress for a company event or when you wear them with your business attire as they add a real touch of refinement without being too ostentatious.